Without becoming weak in faith he contemplated his own body, now as good as dead since he was about a hundred years old, and the deadness of Sarah’s womb; yet, with respect to the promise of God, he did not waver in unbelief but grew strong in faith, giving glory to God, and being fully assured that what God had promised, He was able also to perform. Therefore it was also credited to him as righteousness. Now not for his sake only was it written that it was credited to him, but for our sake also, to whom it will be credited, as those who believe in Him who raised Jesus our Lord from the dead, He who was delivered over because of our transgressions, and was raised because of our justification. Remember, Paul wrote this letter without chapters and verses in mind. He was trying to express a unified set of thoughts to his audience who were, most likely, the believing Gentiles associating with believing and unbelieving Jews in the Roman synagogues. In my previous reflection, I focused a great deal on how, for a Jewish Jesus-believer, there was/is no inconsistency between Torah and faith. For that matter, there’s no inconsistency for a non-Jewish Jesus-believer between faith and obedience, either. But there was a lot of misunderstanding going on (apparently) in the Roman Jesus-believing community on both sides of the aisle. The Gentiles somehow felt they were superior to the non-believing Jews in that they were granted access to Jewish worship and social space as equal co-participants without having to undergo the proselyte rite and take up the full yoke of Torah in the manner of the Jews. The non-believing Jews pushed back by declaring themselves superior as possessors of the “oracles of God” and how by just being ethnic Jews they were justified before God. There is also some indication that at least some Jews may have mistakenly thought that because their faith in Yeshua (Jesus) justified them, they were more like the Gentiles and did not have to follow a strict observance of the mitzvot. Paul was trying to straighten out his audience orient them to the importance of both obedience due to covenant obligation and being justified only by faith. Now we see Paul continuing to make this point, emphasizing how Gentiles could also be included in the covenant blessings by faith but not have to take up all of the Jewish covenant obligations. 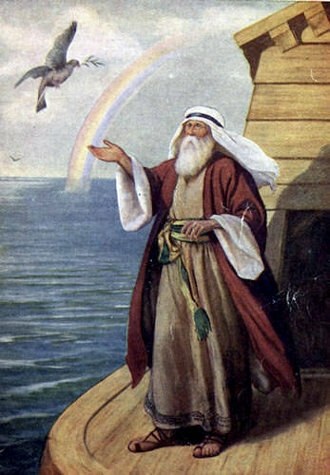 The one commonality between the Jewish and Gentile believers was/is that they were/are all justified by faith and granted “peace with God through our Lord Jesus Christ.” Justification by faith is what made Gentile participation in the covenant blessings possible without conversion to Judaism and remember, they were justified by faith alone, so even if they voluntarily chose to take on additional mitzvot in the manner of the Jews, it would not increase their justification or otherwise grant them greater merit before God. Notice that justification by faith includes the hope we have in the New Covenant as evidenced by one of the “down payments” of the New Covenant promises, the Holy Spirit “who was given to us.” That takes us back to Acts 2 when the Jewish Apostles received the Spirit in the upper room (in an act reminiscent of the giving of Torah at Sinai), and Acts 10 with the occasion of the Spirit being given to faithful Gentiles, the Roman Centurion Cornelius and his entire household. For while we were still helpless, at the right time Christ died for the ungodly. For one will hardly die for a righteous man; though perhaps for the good man someone would dare even to die. 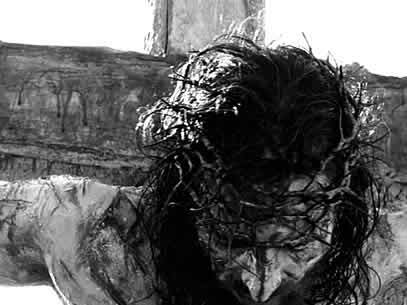 But God demonstrates His own love toward us, in that while we were yet sinners, Christ died for us. Much more then, having now been justified by His blood, we shall be saved from the wrath of God through Him. But we are justified by faith, not just in God, but in who Jesus is and what he represented as the final sacrifice we’d ever need for the forgiveness of our sins. God loves us all even in our sins, and desires that we repent, take up our faith and cross, and follow our King. Jesus quotes Hosea 6:6 to point out that sacrifice (observance) alone does not justify, and also that he came for the sinners, the disobedient and faithless of Israel, to bring them back to God, to redeem Israel. It is believed, contrary to Christian thought, that the general Jewish population in Israel during the late second Temple period maintained a high level of Torah study and observance, higher than previous points in the nation’s history, but it was the sin of baseless hatred that resulted in the Temple’s destruction and the exile of the Jewish people. It was this hatred among the Jews the Messiah was addressing (Remember what I’ve said in the past…these are just my “reflections” as I’ve read through Romans as associated with previously acquired information…it’s not a researched and annotated doctoral dissertation). In the days of Herod, king of Judea, there was a priest named Zacharias, of the division of Abijah; and he had a wife from the daughters of Aaron, and her name was Elizabeth. They were both righteous in the sight of God, walking blamelessly in all the commandments and requirements of the Lord. As you can see, there were likely many righteous people in Israel, including Zacharias the Priest and his wife Elisheva (Elizabeth). We may never know how many among Israel were at their level of spiritual enlightenment since as the Master said, he came for the “lost sheep of Israel,” and not for the righteous who did not need to repent of baseless hatred. 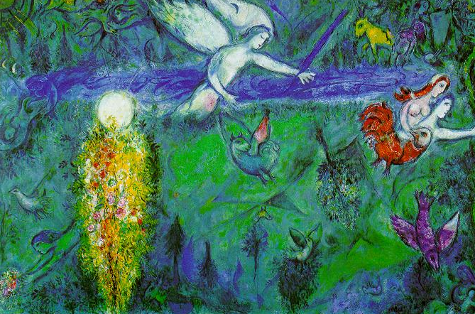 Our hope isn’t just in the atonement provided for mankind by the death of the tzaddik, but in the resurrection and the life, for even as we die with him, we rise with him from the tomb as new creations and have the hope of life eternal in the Kingdom of Messiah, a Kingdom of utter peace and tranquility. We are no longer enemies of God but sons and daughters by adoption, Gentiles who are now included in the blessings alongside God’s people Israel. Therefore, just as through one man sin entered into the world, and death through sin, and so death spread to all men, because all sinned—for until the Law sin was in the world, but sin is not imputed when there is no law. Nevertheless death reigned from Adam until Moses, even over those who had not sinned in the likeness of the offense of Adam, who is a type of Him who was to come. This admittedly is difficult for me to grasp. Paul is introducing something new which seems to be the origin of sin. It came into the world because of the disobedience of Adam, the willful disregard to the one and only negative commandment that existed in the world at that time. It wasn’t just disobedience that was the sin but the lack of faith that rested behind it. Although the commandment to not eat of the Tree of the Knowledge of Good and Evil was not directly imparted to Havah (Eve), Adam allowed her to consume the fruit and then willfully ate it as well. But then Paul says that there is no sin “when there is no law,” which I assume is Torah and it defines obedience and disobedience, and yet between Adam and Moses there was still sin and death. Different translations of Romans 5:13 state “but sin is not charged against anyone’s account where there is no law” (NIV), “but sin is not counted where there is no law” (ESV), and “but no record of sin is kept when there is no Law” (ISV), basically saying the same thing. …but sin is not imputed when there is no law. This looks like an objection, that if there was no law before Moses’s time, then there was no sin, nor could any action of man be known or accounted by them as sinful, or be imputed to them to condemnation; or rather it is a concession, allowing that where there is no law, sin is not imputed; but there was a law before that law of Moses, which law was transgressed, and the sin or transgression of it was imputed to men to condemnation and death, as appears from what follows. 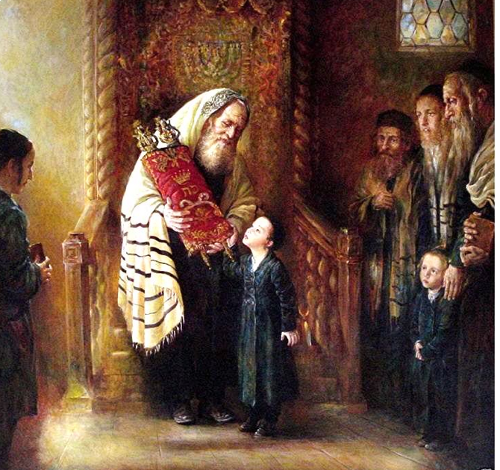 From this I gather that there were actually standards for sin and righteous for mankind prior to the giving of the Torah at Sinai but that the Torah defined heightened responsibilities specifically for the Children of Israel. This suggests that the rest of humanity still operated under the older standards and, given a more Jewish perspective, that said-standards for the nations were the Noahide Laws we see God issuing in Genesis 9. Of course there were no Noahide Laws prior to Genesis 9, so there must have been some sort of standards in place between Adam and Noah. These standards are hinted at (how did Abel know about animal sacrifice and how did Noah know what a clean animal was?) but never listed in the Bible. Death continued between Adam and the time of the giving of Torah at Sinai because of the continuation of sin, and presumably it continued after that and continues to this day, if we’re talking about bodily death (and since Paul has been talking about the bodily resurrection up to this point, I think it likely). Mankind would have remained accountable to God under Genesis 9 covenant and its conditions, then with Moses and the Torah, Israel was elevated to a much higher place in terms of blessings, responsibilities, and curses. In a way, this put the Israelites in a rather unenviable position, because the conditions of obeying God, the Torah mitzvot, were so many, so complicated, and so much more involved than the Noahide commandments, that they had to do a lot more work to maintain their covenant relationship with God. Of course, there are also terrific blessings attached to Israel’s covenant with God including having God dwell among His people in the Tabernacle and later in the Temple. But the Temple and the sacrificial system was never designed to permanently remove sin from the Israelites, or for that matter, the rest of humanity (even though the prayers and sacrifices of Gentiles were acceptable in the Temple). And who is this “who is a type of Him who was to come?” Apparently, according to various translations and commentaries, it’s Messiah. Adam was the first man and the first to sin, the prototype of sinful mankind, but also the prototype human being as the first created man. Yeshua, as Messiah, sent to be the hope of humanity, is sort of an “anti-Adam,” one who entered the world perfect, just like Adam, but unlike Adam, one who never sinned even though sorely tempted. Paul continues his theme of the duality of Adam and Jesus, the transgression of Adam and the free gift of grace through Christ. Adam’s faithlessness and disobedience condemned humanity to sin and death and Messiah’s faithfulness and obedience, even to the point of death, reverses that curse…or rather, it will. Sin and death are still in the world, even for Christians. Believers still sin. We’re not perfect (or perfected). And believers still die. But if we are faithful and obedient, we will not be dead forever, and when we are resurrected, we will be resurrected as perfected people. God will heal our physical imperfections but more importantly, He will heal our hearts and write His Word upon them, so it will be natural for us to obey and not sin, even as it is now human nature to disobey. That is why Jesus is our hope because he is the hope of our future perfection and the redemption of the world, all through God’s covenant with Abraham, then with Isaac, then with Jacob, and then the Sinai covenant with the tribes that issued from Jacob, the Israelites, and with their descendants, the Jewish people. Salvation for the rest of the world comes from the Jews (John 4:22) and from their King Messiah. Jesus reverses the curse that Adam initiated. Paul calls all this a “free gift,” and I admit to having a bit of a problem with the wording. It’s true that we don’t have to do anything to produce this solution to the problem Adam introduced into the world, and it’s true that we didn’t even ask for it, and it’s true that we don’t and in fact we can’t pay a price to purchase this gift. On the other hand, we still have to do something. We have to choose. We have to hear the “good news,” and we have to listen, and we have to allow the Holy Spirit to influence us, and then we have to repent and accept the Lordship and rule of Messiah over our lives. And then we enter into discipleship, start studying, and finally realize what all that actually means. Then we realize what it is to accept Jesus as Lord and oh boy, it’s not as easy as we were led to believe by whoever evangelized us. Then and only then comes the hard part. Living the life of a disciple and a slave with Jesus as Lord and Master…yeah, Master like Master over a slave. Living the life of a slave with Jesus as our Master, surrendering any priority over our life to him and making all of his priorities our priorities. Do you do that all the time, 24/7/365? Really? Are you sure? So then as through one transgression there resulted condemnation to all men, even so through one act of righteousness there resulted justification of life to all men. For as through the one man’s disobedience the many were made sinners, even so through the obedience of the One the many will be made righteous. The Law came in so that the transgression would increase; but where sin increased, grace abounded all the more, so that, as sin reigned in death, even so grace would reign through righteousness to eternal life through Jesus Christ our Lord. It sounds like Paul is getting a little repetitive, but then he says the “Law came in so that the transgression would increase.” God introduced the Torah to Israel to increase their sin? That seems odd. The Torah lists the conditions of the Sinai covenant between Israel and God, a covenant which says God will be Israel’s God and they will be His people and that they agree to obey a certain set of conditions listed in the Torah. If they don’t, and disobedience (sin) is also defined in Torah, then the curses laid out in the Torah will be applied to Israel. If they continue to obey, the blessings, which are also spelled out in the Torah, will be applied. So how does all that “increase sin” and especially for the whole world since the Sinai covenant and its conditions (Torah) only apply to Israel? Is there some other “Law” that Paul could be talking about in this context? There is what’s called “the Law of Sin” which the above-quoted verse defines, but that doesn’t seem to fit the context. However, it also makes no sense at all for God to give the Torah to Jews at Sinai just to increase their culpability for sin so that in their sins, God could demonstrate how much they needed His grace, send Jesus to die for their sins, and replace the Law with grace. The only way I can see how the Torah could “increase sin” is that it raised the bar quite a bit for the Children of Israel relative to the rest of mankind. It certainly increased the chances of any given Jewish person to come into transgression. After all, it’s no sin for me to not wear tzitzit but it is for a Jewish person (man). It’s no sin for me to eat a pork chop (although I don’t) but it is for a Jewish person. Even as a Christian and the receiver of many blessings through Israel’s covenants with God, I’m still not held accountable to as high a standard of behavior as my wife (who is Jewish), at least not this side of the Messianic Kingdom. Every time I read about “baseless hatred” I can’t help about thinking what was so bad that Yeshua did in order to be condemned by the 1rst Century authorities (mainly the saducees). Certainly nothing, being Him The Tzaddik. I know that The Talmud explain “baseless hatred” using the episode of Kamtza and Bar Kamtza, but having read some explanations about that story, I still don’t get how big such episode would have been so that the Temple was destroyed. I have read about 40 years of bad signs shown at the Temple (the Western Lamp, the Temple Doors, the picking of the Lot, the Red Stripe) before its destruction and according to my own chronology of things that happened, they would have begun at 30 A.D., the year that I believe Yeshua was crucified. Unlike Adam, Yeshua Himself obeyed, and offered restoration for man. Yeshua’s obedience covers His whole Torah-observant life, not just His resisting temptation in the wilderness and dying on the cross (re: Philippians 2:8). 19 shall many be made righteous. James also consider this interpretation of verse 20 which I think you were saying but maybe left it in a cliff hanger? This verse shows part of the Torah’s purpose to reveal sin. (To the Jew first, to whom Torah was given, however, not only for their sake, but also for the sake of the gentile world, as the Jews were to be a light unto the world with this knowledge – i.e., Matthew 5:13-16). The Torah makes man more “aware” that he is sinning (i.e., “that offence might abound”), as he is now violating “known and definable” commands from G-d. It is important to understand that G-d gave His Torah because of His mercy as an instrument to salvation (with faith/trust being the first of the commandments). The Torah, by revealing sin as such, is not “part of the problem,” but rather, is “part of the cure.” The Torah also “stirs up” sin in man, as by “laying down the law,” many, who see themselves as above G-d, will respond indignantly, with deliberate violation. Paul explains the “dual role” of the Torah in G-d’s purpose. To make known the full magnitude of sin (so that man could see it for what it was), and to act as an instrument of G-d’s mercy and grace (the law is holy, just and good – Romans 7:12), in that it leads men to G-d.
Deuteronomy 11:26-28 – Behold, I set before you this day a blessing and a curse; A blessing, if ye obey the commandments of the L-RD your G-d, which I command you this day: And a curse, if ye will not obey the commandments of the L-RD your G-d, but turn aside out of the way which I command you this day, to go after other gods, which ye have not known. Having Law reveals sins for what they are…rebellion against G-d, and the loss of relationship with G-d through that rebellion. Once there was but one law, and that was breached, throwing all of Adam’s offspring into a death in life. Abba did not want to destroy mankind…He delighted in His creation sufficiently to plan a way around all that could and would go wrong in a free-will universe. Once an animal was slain (by G-d), other laws came into being for Adam’s line…what we call the Noahide Laws, and obviously a mini-Torah to all men that is not written, but observed in behavior of all men; regarding sacrificing for those sins to give something valuable up…a source of food and warmth…to G-d as a sign of repentance, and turning back to faithfulness. Obedience in some measure was always in the relationship of man to YHVH, and where obedience failed, so did the relationship, and people turned to their own gods…themselves, and those they created that represented what they wanted, and created a mandate for doing what they wanted to do. To bring the knowledge of what YHVH wanted of all of mankind, not just the Israelites, is what Torah is for. 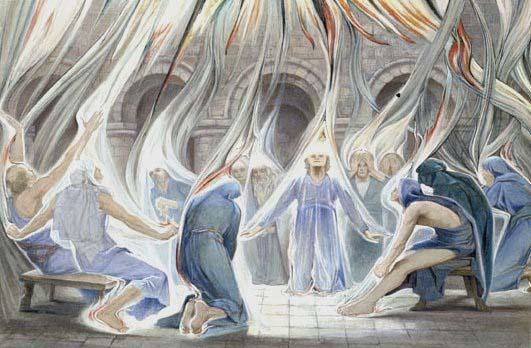 It created, merely by the observance of the laws, a small group of people to be raised up or brought down as they obey Elohim…as an example of G-d’s power, and also His faithfulness to His people. The Jews are the shining example of obedience, and failure to obey, that the world might learn through them just how much YHVH wants mankind to learn from Him…so much so, that the Yehoshua option was in play from the beginning. The problem enters in where more Greco-Romanized Messianics heard that they were not obligated to Torah obedience, and thus, it wasn’t necessary for them…yet Yehoshua continually spoke of obedience, to G-d, and in His instructions to His Disciples, to teach all He had taught the Disciples. Those instructions did not discontinue any part of Torah for Jews, and for Gentiles, keeping Torah was to be an act of love towards Yehoshua…not an obligation by covenant, for no Gentile had to taking on all of Torah to be included in the promises. Once the Jews began writing and codifying all of the Oral Laws and Instructions after the destruction of the Temple, and the Bar Kochva rebellion, Rabbinical Judaism became uber-Torahists, and overtly anti-Messianic, even if Torah Observant. So, with all the tensions beginning to rise between Messianic Jews and Rabbinical Jews, not to mention the political aspects to be played, Torah began to be abandoned by the Messianic Gentiles, and were becoming a separate Religion that slid further and further away from Judaism, and a Jewish Messiah, and from the Torah. Reversing this historical break is what is needed, and the only ones that can do it, are Messianic Jews and Messianic Gentiles, keeping Torah as they feel led by their heritage and the Ruach haKodesh, and continuing to spread the word that G-d wants evidence of the trust we Believers claim to have in Him. 30 So, what are we to say? This: that Gentiles, even though they were not striving for righteousness, have obtained righteousness; but it is a righteousness grounded in trusting! 31 However, Isra’el, even though they kept pursuing a Torah that offers righteousness, did not reach what the Torah offers. 32 Why? Because they did not pursue righteousness as being grounded in trusting but as if it were grounded in doing legalistic works. They stumbled over the stone that makes people stumble. 14 What good is it, my brothers, if someone claims to have faith but has no actions to prove it? Is such “faith” able to save him? 16 and someone says to him, “Shalom! Keep warm and eat hearty!” without giving him what he needs, what good does it do? 17 Thus, faith by itself, unaccompanied by actions, is dead. 18 But someone will say that you have faith and I have actions. Show me this faith of yours without the actions, and I will show you my faith by my actions! 19 You believe that “God is one”? Good for you! The demons believe it too — the thought makes them shudder with fear! 20 But, foolish fellow, do you want to be shown that such “faith” apart from actions is barren? 21 Wasn’t Avraham avinu declared righteous because of actions when he offered up his son Yitz’chak on the altar? 23 and the passage of the Tanakh was fulfilled which says, “Avraham had faith in God, and it was credited to his account as righteousness.” He was even called God’s friend. 24 You see that a person is declared righteous because of actions and not because of faith alone. 25 Likewise, wasn’t Rachav the prostitute also declared righteous because of actions when she welcomed the messengers and sent them out by another route? 26 Indeed, just as the body without a spirit is dead, so too faith without actions is dead. Without necessarily trying to wade all through that Questor, tomorrow’s meditation may address a few of your points. It’s based on an unpublished paper written by Dr. Mark Nanos (he did present it at a conference last year and it will be published later this year…I have permission to write about it now) discussing a portion of Romans 2 and just how “jewishly” the Gentile disciples were encouraged to behave within Jewish religious and communal space as equal co-participants. James, I’m sorry that I ended up with so long a comment…it is often pointed out to me that I have trouble being concise, and I made it evident above! Oddly, what I was trying to say was not only that faith and obedience are necessary for living in the Kingdom of G-d now, which we already know, but that we Messianics must reach all those that have faith in Yehoshua, and remind them of the good things they can do that will please G-d, and show that they are Disciples of Yehoshua. Trusting obedience will make them, and us, walking examples of Messianic Belief by walking in His footsteps, and copying His behaviour to the extent that we can.